Not just more levels, but a sequel with all-new levels, game mechanics and level structure making for an evolution in the franchise. 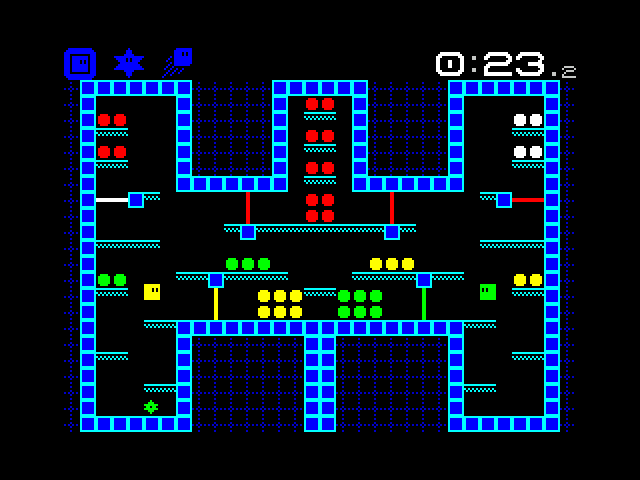 New mechanics include gravity-flips, horizontal gates, and portals, all of which make for some devious new levels. 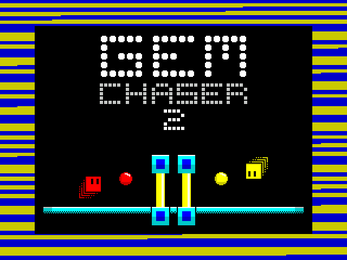 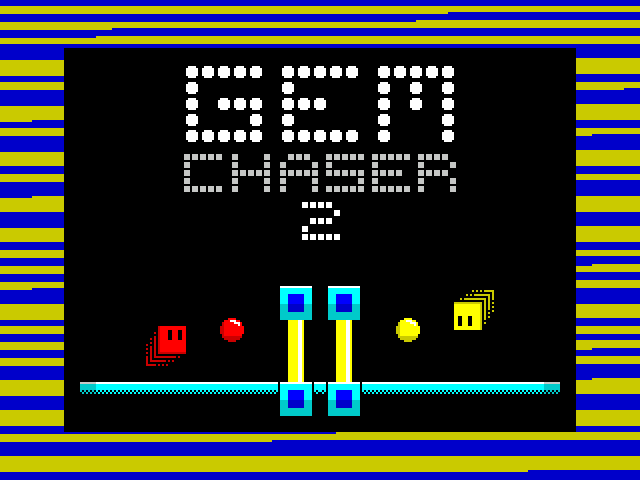 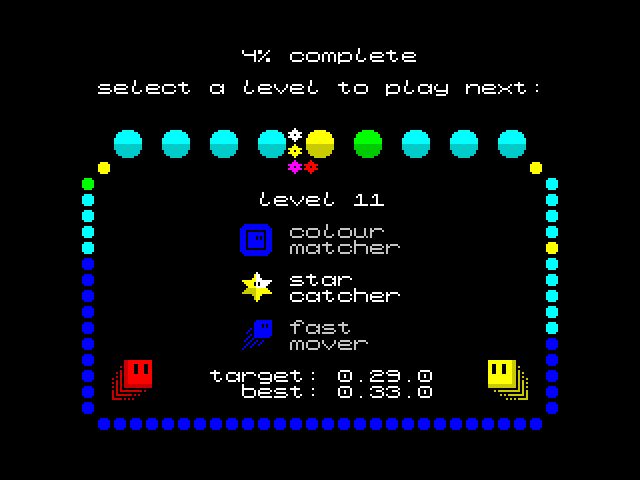 Awards are now given on your speed through each level, always being the correct colour when collecting gems, and whether you managed to collect the level;s secret star - all of which can be achieved in a single game or across multiple sittings, making your progress through the game a much more open affair. 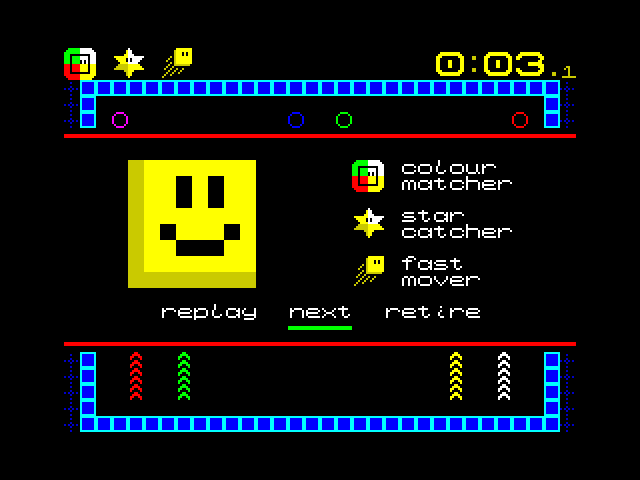 Retro Gamer's comment on the original game of not being able to keep your progress between sittings has also been addressed by adding a way to save, and restore, your progress to tape. 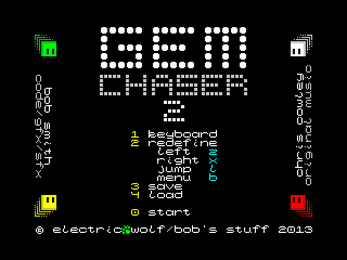 Wolf website - http://www.electricwolf.co.uk/ - which also contains a link to the Xbox marketplace where you can download the demo or full version of the game. 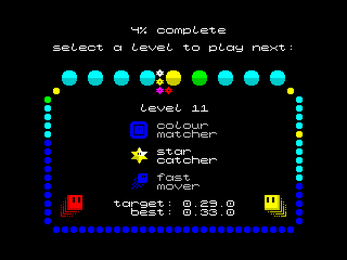 MicroMart- "Bob Smith is back with another fine release for the Sinclair ZX Spectrum... The graphics are simple but colourful, and there's some excellent beeper music provided by Chris Cowley. 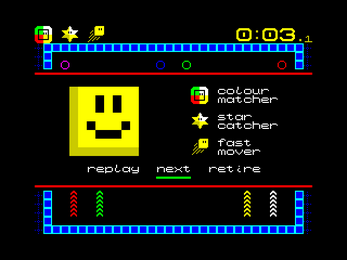 Much like its predecessor, there are 70 levels to play through, with a similar learning curve and fast, fluid gameplay."